In 1 Corinthians 7:17–24 Paul speaks of our calling before God. In all of his writings, this may be one that most directly deals with the doctrine of vocation. On Sunday, we will consider this subject at length. 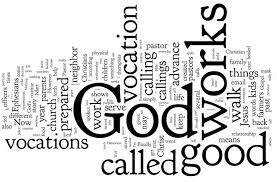 In preparation, here are seven truths that relate to “vocation” and our calling to live for and before God in all we say and do. 1. Your vocation begins with the Lord’s calling unto salvation. Made in the image of God, there’s a sense in which everyone has a “vocation.” The world’s bounty is not cultivated by Christians alone. God has blessed the world with the lives and services of many non-Christians. That being said, only Christians can pursue their work for the glory of God. Only Christians can give thanks to God and pursue their vocations motivated by God’s love. In this way, a true vocation stands in continuity with one’s calling to Christ. The Father effectually calls his children and then assigns them to do good works. Ephesians 2:10 says that believers are “created in Christ for good works, prepared beforehand, that we should walk in them.” Likewise, 1 Corinthians 7 defines our assignment in life by God’s effectual calling. In 1 Corinthians 7:17, 20, 24, Paul tells the Corinthians to abide in their earthly status and serve God, not worrying about changing their position. In truth, this way of thinking (and living) can only be achieved by those who have the Spirit of God. Therefore, the Christian homemaker or construction worker are animated by the same principle—God’s effectual call (re)defines your earthly occupation. 2. God’s Word clarifies your vocation. More exactly, the commands of God clarify the way in which someone works. In truth, a non-Christian carpenter may not strike a nail any differently than Christian carpenter. But this oversimplifies the matter. If the Christian is working as unto the Lord, as Colossians 3:17, 23 instructs, his motivation is different. If the Christian is impelled by the Golden Rule, he makes sure that he is doing good, honest work. And if he is seeking to make money for purposes directed by the Scripture, than his labor is different. Truly, the Bible does not give a manual for your workplace, but that doesn’t mean it is irrelevant. Regardless of your ethnicity or workplace experience, the commandments of God (1 Corinthians 7:19) do address your morals and motivations. Therefore, Scripture may restrict some immoral occupations (which steal from people), while they may incentivize others (which serve people). In short, whatever your calling, God’s command always shines light on it. 3. Your vocation is not your ultimate calling. If the commands of God clarify how to work, the gospel clarifies the value of your work. In short, work in this age matters, but not ultimately. Rather, the call of God relativizes your earthly labors. As Paul said to bondservants and freedman, the call of God redefines their vocational assignment. In the Lord, the servant is a free and the freedman is the Lord’s slave. Fleshing out the way the gospel reengineers human relationships, we find that the servant is not trapped by his lowly status. Neither is the king praised for his high standing. Instead, in Christ the low and the high are redefined. What matters is not what can be seen or attained, but what God has given. Earthly vocations are important, but not as much as God’s heavenly calling. 4. Your ultimate calling informs your earthly vocation or vocations. In the midst of reassuring bondservants not to worry about their low standing, Paul says, “But if you can gain your freedom, avail yourself of the opportunity” (v. 21). To those who are content in God’s assignment, he says it is permissible, even good, to move out of slavery. Applied today, this instruction counsels those who are invited to move up to do so for the Lord. In other words, we should not use illicit means to advance ourselves. However, if an opportunity for advancement comes, it is should be taken if it is in keeping with our first calling. In other words, the question that all Christians must ask is this: How will this freedom, advancement, raise, or promotion impact my relationship with God? How will it enable me to serve others? What effect will it have on my worship, my family, on my calling to Christ? This battery of questions should not make believers nervous, but jealous to seek Christ first. In fact, by considering your calling to Christ in all situations, it will help clarify what options you should pursue and which ones you should reject. Truly, there is a great difference in between employees today and bondservants in Corinth, but the principle remains the same: your ultimate calling must inform your daily vocation. 5. The doctrine of vocation honors the humble and humbles the honored. More generally, the doctrine of vocation is meant to honor the lowly and humble the lofty. This is the same principle that Paul employs in 1 Corinthians 12, with respect to the church. The lowly parts deserve greater honor, while the honorable parts should serve the lower parts. 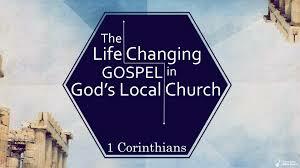 When this principle is carried out, it breeds humility, charity, and unity in the local church. In Corinth, these traits were lacking. The same will be true in any culture that prizes competition and rewards ambition. Therefore, we need our minds renewed by a biblical understanding of vocation, so that the lowly are esteemed and the esteemed remain humble. 6. The doctrine of vocation frees you to serve others, because you are Christ’s. Following the principle reversed honor (#5), the doctrine of vocation also frees Christians to serve others. How so? As bondservants of Christ, we are freed from the oppressive servitude to men. That’s Paul’s point in 1 Corinthians 7:23: “You were bought with a price; do not become bondservants of men.” Notice, he doesn’t say “don’t serve men.” Rather, he says do not become enslaved. For the Christian, the Lord’s ownership frees us. In Christ, we are perfectly loved, perfectly justified. This means we no longer have to work to please him or to protect ourselves. Instead, with full assurance of his love, we can serve others. The highest prince can serve all of his subjects (whether they love him or not); the lowest slave can serve his master (whether he deserves it or not). As Christ’s slaves, we are free to serve others. 7. The doctrine of vocation warns everything is loss without Christ. Finally, in all our labors we do so for Christ because anything else will perish. This was Paul’s explicit point (to ministers) in 1 Corinthians 3:12–15. But it is also the implicit point of 1 Corinthians 7. If we have been bought with a price and now belong to Christ and yet we continue to serve men, all that we do is for the latter, not for Christ. Only those things we do for Christ and by Christ will have lasting value. Only those things that are built on his foundation with his materials will pass his final test. In this way, a biblical doctrine of vocation teaches us to give our life to the Lord and to pursue all of our labors for him. Again, this may not look differently to the world, but it looks differently to Christ. And because we walk by faith and not by sight, we pursue our vocations with a passion to glorify him and serve others with the life he has given us. May God empower us to fulfill our calling for his glory and the good of our neighbor.